Sarah Palin warned GOP elites in her recent Associated Press interview that the voters will rise up if GOP elites try to steal the nomination from Donald Trump or Ted Cruz. Voters will “rise up” in opposition if Republican power brokers try to take the presidential nomination away from Donald Trump or Ted Cruz at the GOP convention this summer, Sarah Palin said Thursday in a wide-ranging interview. The 2008 vice presidential nominee told The Associated Press that GOP voters have the right to decide the party’s nominee and will rebel if House Speaker Paul Ryan or some other “white knight” is chosen at a contested convention. Ryan said this week he will not seek or accept the nomination. 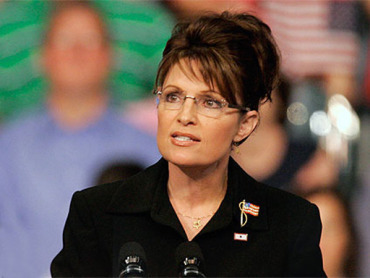 Palin said voters know better than to be fooled by party leaders. If party leaders try to intervene at the July convention, “we will rise up and say our vote does count, our activism does count,” she said. Palin said she is not convinced by pledges from party leaders that the GOP nominee will be chosen from among those running for president.